On July 1, 2016, Section 701 of the 2015 Budget, signed by President Obama on November 2, 2015, will go into effect, raising the maximum penalties for OSHA violations significantly. Employers may need to reconsider how they evaluate whether or not to contest OSHA citations. The first OSHA adjustment will be a “catch-up” adjustment based on the percentage difference between the Consumer Price Index in October, 2015, and the last increase in maximum penalties in October, 1990. It is estimated that the catch-up adjustment will result in an approximately 78.2 percent increase in maximum OSHA fines. After the initial catch-up adjustment, employers should expect an annual increase in OSHA penalties because the law requires annual adjustments based on the annual percentage increase in the Consumer Price Index. Recently released data shows 37% of phone calls & injury reports result in OSHA inspections, and almost half of all catastrophic cases result in OSHA rapid response investigations. 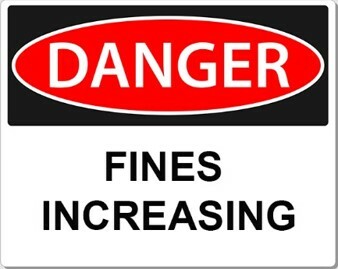 With such drastic increases in penalty fines, employers should know how to prepare for one of these investigations. Learn from an expert, Certified Occupational Safety Specialist, Carl Habekost. Register for our FREE webinar, Preparing for an OSHA Rapid Response Investigation: How to Conduct a Root Cause Analysis without Raising Red Flags, on January 21, 2016 from 12:00 – 12:30 p.m.